Link spamming doesn’t work anymore. You probably already know that. 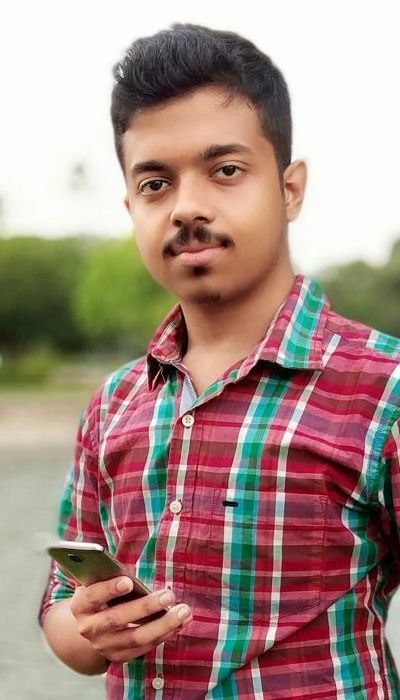 With all the latest updates from Google — Panda, Penguin and all that, coming in short intervals of time to penalise webmasters who engage in shady SEO practices and unethical link building, it’s highly unlikely that you’ll succeed with old link building strategies. There are a few things about modern link building that you should know before you start off with a link building campaign. Google is slowly moving away from a quantity-based inbound links valuation system. A few links from trusted authoritative sites tend to do significantly better than tons of links from low-quality sites pointing at your site. However, as long legitimate sites, no matter how big or small, link to you, generally the more number of links pointing at your site, the better. Search engines tend to give more importance to the number of referring domains, the number of unique sites linking to your site, than the total number of inbound links to your site. The more the trust score the site that’s linking to you has in the eyes of search engines, the better for your site. If a site links to you for 5 times, 10 times, 50 times, your site will benefit from it. However, if it links way too many times, then the added links won’t be of that important to search engines and they’ll not value those as much as the first few ones. So, in short, the number of linking domains is a more precise authority sign than total number of inbound links. Domain Authority is a prestige metric created and made popular by Moz. You can say, if Google’s PageRank (PR) is a quantitative approach to determining the authority of a web page, Moz’s Domain Authority (DA) is a qualitative approach to doing so. So, it’s generally thought that two web pages having the same PageRank linking to your site might not give your SEO the same boost. The one with a higher DA value will likely help your site’s SEO more than the other page. Search engines such as Google, don’t directly look at, or take the help of DA. It’s anticipated that they have developed something similar of their own in the post-PageRank era, which does the same thing. The good old PageRank still has some importance in Google’s algorithms. Generally, web pages having more PageRank tend to get crawled more frequently by Google, and get indexed quicker than those having less PageRank. You should note that it’s the PageRank of the page pointing a link at your site that matters, not the PageRank of that site’s homepage. PageRank is calculated and updated in real-time in Google’s databases. However, Google tends to update the publicly available PageRank values usually once every 3-4 months. A quick way to keep track of PageRanks of various sites is using a simple Google Chrome Extension called ‘PageRank Status‘. There are similar plugins for other browsers as well. Getting a few links from a couple of high-authority sites can greatly reduce the chance of your site getting penalized by Google’s next update. In the web world, trust flows not through spoken words, but through dofollow‘ed links. So, to increase your site’s trust score, you need other good sites to link to your site. According to expert SEOs, sites with high trust scores tend to do better in Google than less trusted sites. There’s this great article by Brian Dean which explains Google TrustRank in details. There are also added benefits of having a high trust score. Various tools offer their own versions of trust score metric. Majestic SEO’s Trust Flow and Moz’s MozTrust are two such reliable trust metrics. The importance of .gov and .edu backlinks is a topic of controversy. I’ve personally seen a lot of SEOs talk about the importance of them in particular among all links, and the possibility that they’re one of the most important factors influencing site trust. A very high number of outbound links on a page greatly reduce the impact of each of those links. Every page of your site pass PageRank scores to the pages linked to from it. 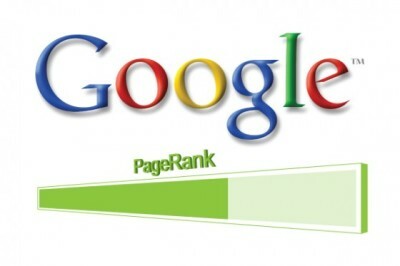 The total amount of passable PageRank score is a constant for every page. Theoretically, how much PageRank points the linked pages receive can be calculated by dividing the PageRank score of the host page by the number of links on it. Google used to mention ‘100 links’ as a safe limit, but as their crawlers improved with newer technology, they no longer specify such a limit. On the other hand, linking out to relevant pages from bigger, trusted sites passively helps in the SEO of your own site. So, what should you do? Should you stop linking out to other sites, or put hundreds of external links on your site pages? Ideally, you should link freely to other high-quality sites, but at the same time keep an eye on the total links count. Too many links, like a link for every 25 words of content, is not only bad for SEO, but your users will also probably not prefer that. The location of backlinks is a very important factor in the post-penguin era. Links separated from the actual content, in places like site footer, sidebar etc. aren’t given the same level of importance by the search engines as links placed within textual content. Footer and Sidebar links are, in most cases, irrelevant to the actual topic of a blog post. Search engines like Google naturally give significantly more importance to in-content links, because they’re naturally relevant links. The above image visually demonstrates the use of contextual backlinks in an article. It’s not the ‘author bio’ area that you should target for getting links back to your site. Author bio links don’t perform as well as contextual links. The key to build contextual backlinks through guest posts is to link out to the related pages on your own site from your guest posts just as you’d link to any other site. Is this link looking like it’s been included forcefully? Is this link irrelevant and spammy? Is this link going to be found useful by the end users? Ideally, you should write high-quality guest posts that you can naturally supplement with external links and resources. You can leverage your other quality Web 2.0 properties to build backlinks for your target site. For example, suppose you’re a physics teacher. You have a really great Physics Q&A site that you want to build links for. This technique would be about creating a few related sites yourself, stuffing them up with valuable content, and then placing contextual links on them pointing at your target site. There’s no rule about the hosting, domain, or anything like that. You can even create a couple of blogs on blogspot, post some quality contents there and then leverage them by placing external links to your Q&A site on them. A lot of people tend to ignore forums these days. As long as the forum isn’t a spammy, low-quality, irregularly maintained forum, external links on it are valuable. Forums like AnandTech are boiling with active members, and the external links on it are not nofollow‘ed. Ensure that you’re posting something that’s of some value to the community, then you’re free to leave a link back to your own site’s content, something related to the original topic. Apart from SEO benefits, you’ll also get a good amount of referral traffic from active forums. Due to anchor-text abuse, Google has supposedly moved away from anchor-texts to co-citations to determine page relevance. Rand Fishkin predicted it in a Whiteboard Friday video. Co-citations refer to the keywords surrounding your links. Author bios may not be the best place for external links to your site, but they certainly are a good choice for any co-citation strategy. When you add targeted links in author bios in your guest posts, try to leave a few targeted keywords near the link. Those keywords surrounding the link will tell search engines that the page you’ve linked to is related to those keywords. Blog networks like Technorati are a great medium to utilize co-citations. A high rank on Technorati can also send a good amount of referral traffic to your site. You can get a dofollow backlink from Technorati. Placing a few of your target keywords near it (in the site description field), you give the link even more love. If you already leave comments on similar blogs, you’re probably already giving your website links the boost that they deserve. Still you need to make sure that you do a few things when you do blog commenting. Make sure your comment is totally natural. 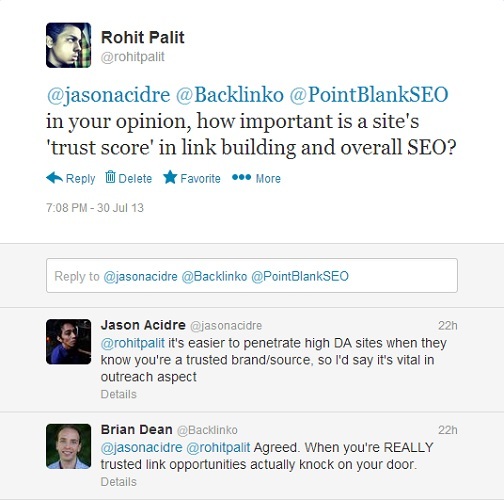 Never submit a comment if your only intent is to gain a (nofollow) backlink. Try to write long comments. It’s easier to put some target keywords within long text. Detailed comments are also preferred by site owners and other readers. Never sound too spammy. Ensure that you’re actually adding something new to the discussion. This is a well-written comment that utilises the power of co-citation. So, that’s how you can enrich your blog comments with co-citations and give more power to your links. Quality content isn’t simply enough to hit the first page of Google these days, unless your site has high-quality links in good numbers. These are the ways which will help you with a full-proof link building campaign in the modern SEO world. Don’t worry about the next big update from Google, because relevant, high-quality, ethical links won’t ever get you in trouble. What other things link builders need to look at in a post-Penguin world? I know page rank has its value but considering how Google is keen on seeing a “normal looking link profile”, I’d prefer relevance over PR. That said, even if the site only has PR1 I still wouldn’t think twice about linking with them provided that its relevant to my niche. Besides seeing a link profile that has minimum PR score of let’s say three won’t look normal to GOogle at all. It’s normal to get natural links from low PR sites.